The number of tourists visiting coastal regions sharply increased on the second day of the Tet holiday as more Vietnamese travel. Phu Quoc International Airport became crowded on the second day of the lunar new year. It had 52 flights including 37 international and 15 domestic flights. As boats and ferries on Phu Quoc-Rach Gia and Phu Quoc-Ha Tien routes opened, tourists from the Mekong Delta also flocked to Phu Quoc. Thanh, a tourist from Hanoi, said his family all went to Phu Quoc after visiting relatives on the first day. It is estimated that Phu Quoc will welcome over 60,000 tourists this Tet. According to many hotels and guest houses, they were fully booked and accommodation prices surged by 30%. The number of tourists to Vung Tau City increased to 31,200 on the first two days of the lunar new year, an increase of 30% compared to the same period last year. 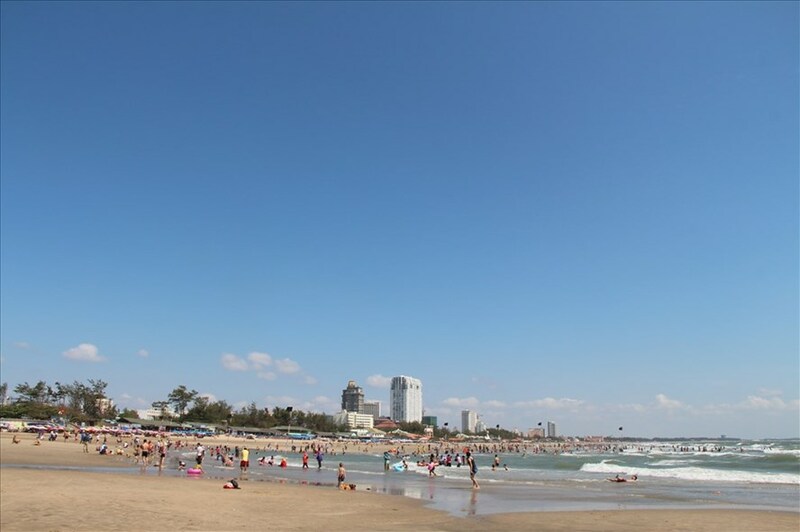 Vung Tau expects to receive 300,000 to 350,000 tourists on the third and fourth days. Bui Minh Phuc, deputy head of Gio Bien tourism site, said this year, many people had already arrived since the first day. The occupancy rate reached 80-90% just in the first two days due to the huge number of online and phone bookings. "We work hard to keep the beach clean and ensure safety by increasing the number of lifeguards," he said. Outbound tours also saw a huge number of tourists. Vietravel announced that they had organised tours to India, Bhutan, and Japan for 50,000 tourists. Saigontourist said it organised tours for 23 groups on the first day of the new lunar year, including seven domestic and 16 outbound tours.